Before braving the flyers and sign up sheets, keep these six tips in mind. 1. Think outside of your past: Yes, maybe you were in the Red Cross club in high school or were never in any student organizations (doubtful, since you got in to Cal), but college is the chance to push your boundaries. Why not write for a psychology journal or join an LGBT club regardless of your major or your sexuality? Take a moment to give those inklings you’ve always had in your gut a chance. 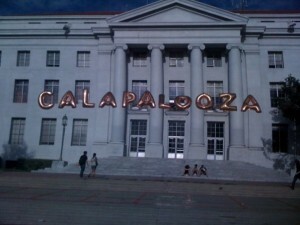 That’s what we’re officially dubbing Caltopia and Calapaloolala—Calapalapooza—Calapalooza, which are UC Berkeley’s student life fair and club fair, respectively. If you’re a fan of free stuff, get down to the RSF quick-like as Caltopia starts Sunday at 10 a.m. and goes until 4 p.m. Same on Monday. Notable performers: Shay Black of Barack O’Bama fame (seriously though, we think NPR did a piece on that song or something), scheduled to appear from 2 to 4 p.m on Sunday. There’re also two other musical acts showing up, Dani Paige Band (noon to 2 p.m. on Monday) and Grimey Blue (noon to 2 p.m. on Sunday). 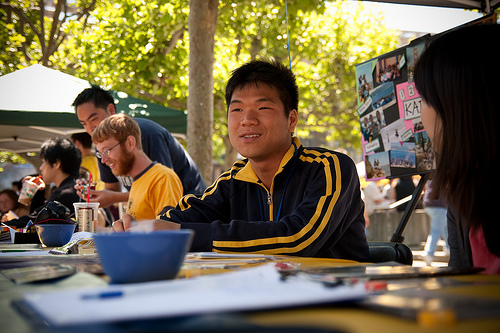 Then Calapalooza starts on Thursday, Aug. 27 on Sproul Plaza (both plazas, in fact) and goes from 5:30 to 9 p.m. Notable performers: Cal Wushu, of strangely high-quality video-making fame (both in humor and production) among others, of course.